Archie Comics has sent Major Spoilers a sneak peek of titles arriving next week. 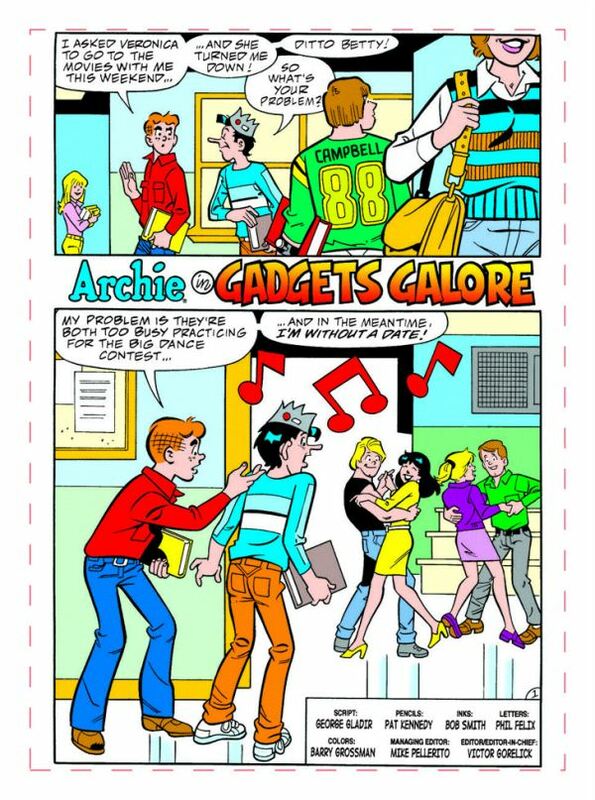 Take the jump for Archie Double Digest #189, Betty #174, and Sonic the Hedgehog Archives #7.
â€œGadgets Galoreâ€: Archie learns that â€œgeek is chicâ€ when he dons glasses and offers to help all the technologically-challenged damsels in distress he can! 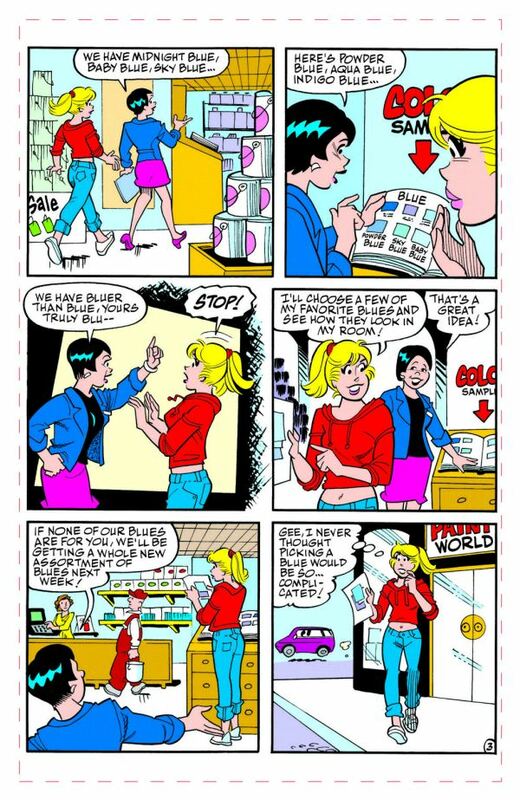 â€œMad Fad!â€: Waking up in a sleepy haze leaves Archie a mismatched mess â€“ and an unlikely fad-starter, much to Veronicaâ€™s chagrin! SCRIPT: George Gladir. ART: Bob Bolling. 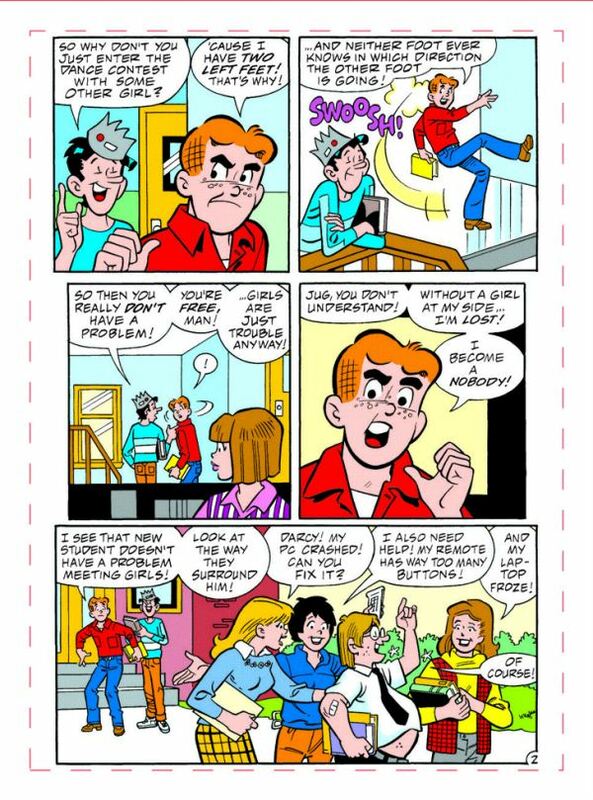 â€œThemâ€™s Fighting Wordsâ€: When Archie finds himself in the middle of a feud between Jughead and Veronica, each person tries to convince Archie that the other is a bad influence on him. 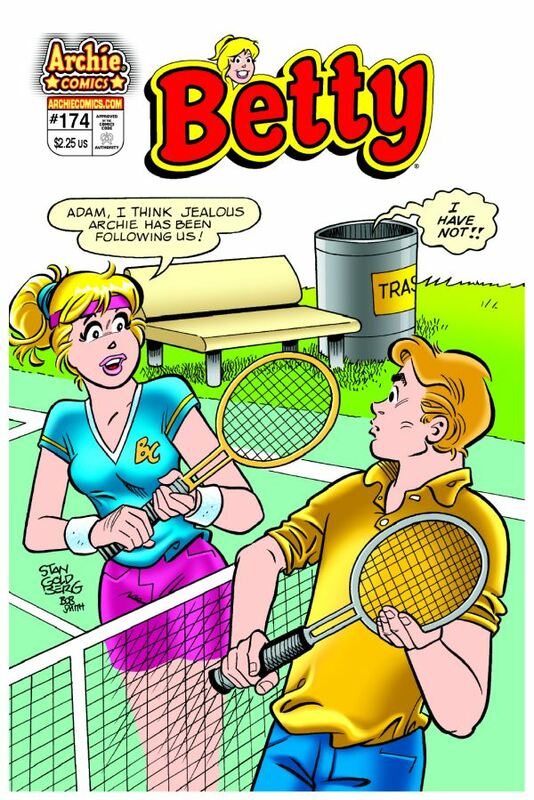 How will Archie decide between his best friend and his best girl?! SCRIPT: Kathleen Webb. ART: Randy Elliott. 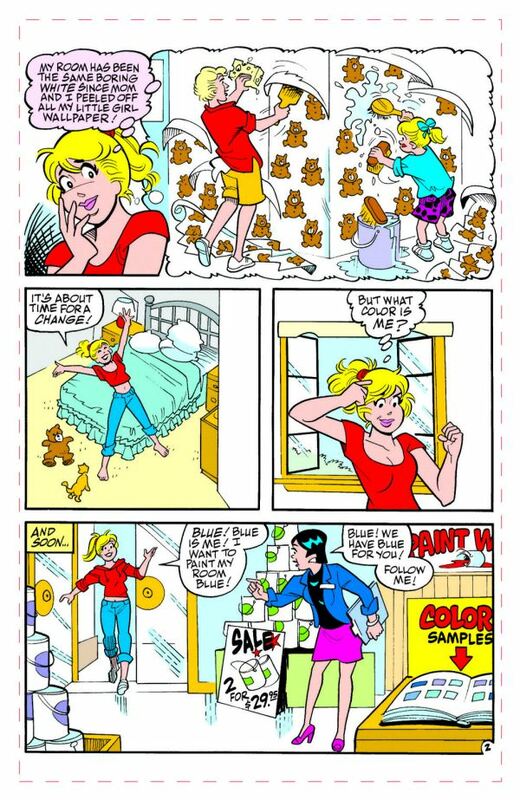 â€œCurious Color Choiceâ€: Everyone has an opinion on what color Betty should paint her room, but does she really only have to choose only one spectrum of the rainbow? SCRIPT: Barbara Slate. ART: Stan Goldberg. â€œThe Late, Late Showâ€: Those lazy, hazy days of summer find Betty especially hazy â€“ because sheâ€™s finding new ways to stay up later each night! SCRIPT: Kathleen Webb. ART:: Stan Goldberg. 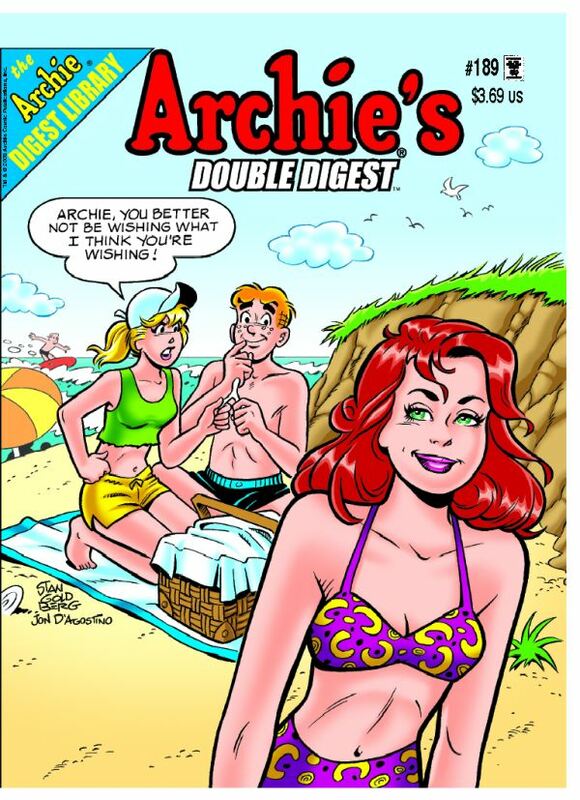 â€œWeather Tetherâ€: A inaccurate weather forecast leaves Archie and Betty with a whole beach to themselvesâ€¦ and enough sun rays to get a tan 10 times over! creation, Metal Sonic! 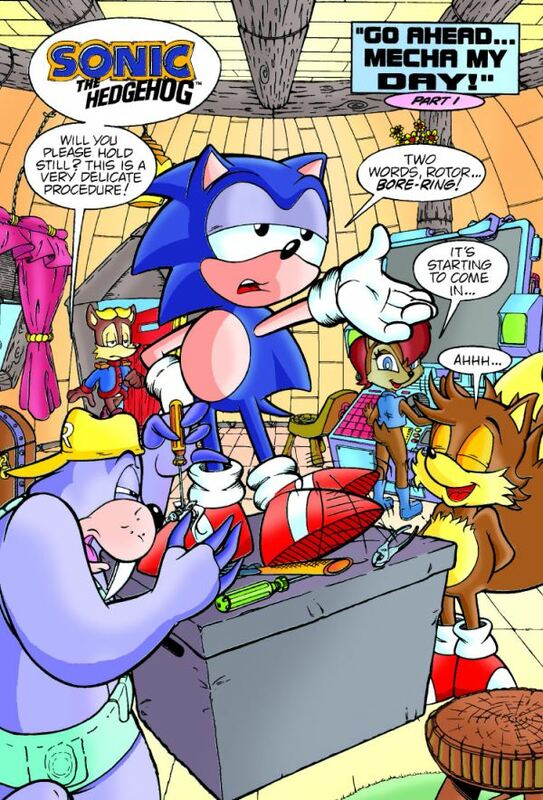 First appearance of both Amy and Metal! 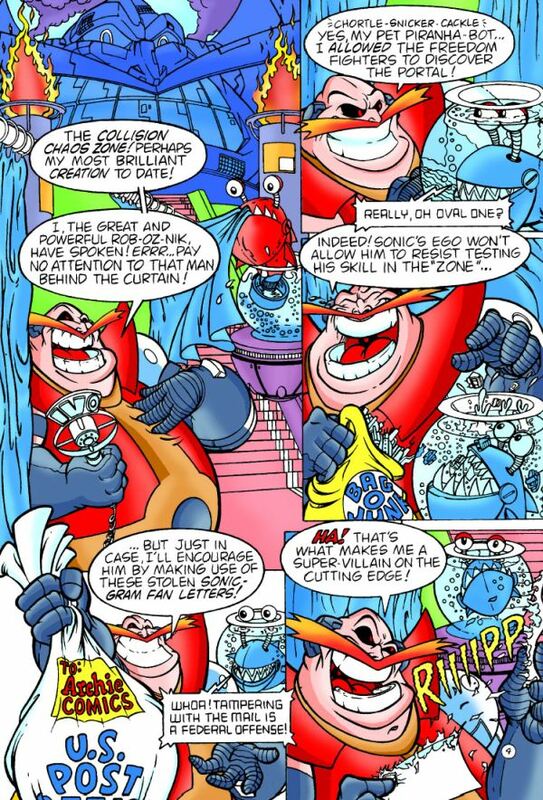 â€œWay, Way, Way Past Cool!â€ (issue #26): Robotnik attempts to put Knothole into a deep freeze, but luckily the Arctic Freedom Fighters arrive to thawâ€¦ and thwartâ€¦ his chilling scheme! 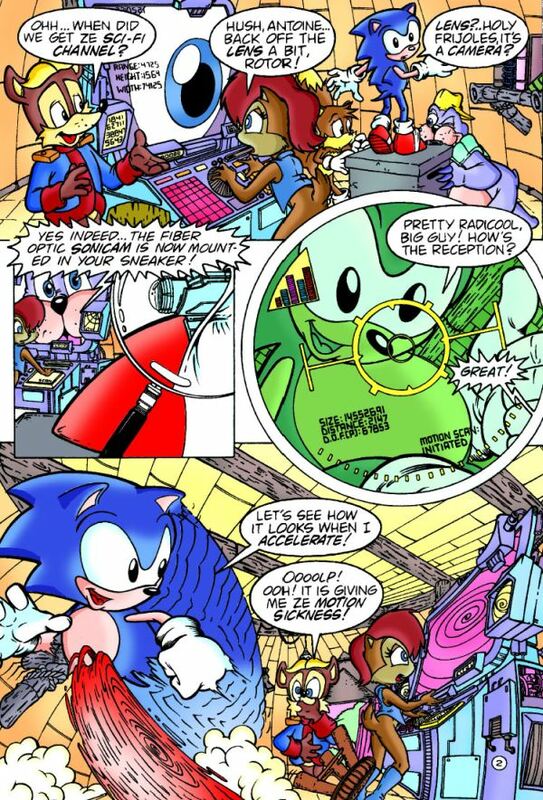 â€œFortifiedâ€ (issue #26): A twisted ankle for the blue blur leads Sonic and the Freedom Fighters to refuge in an abandoned fort. 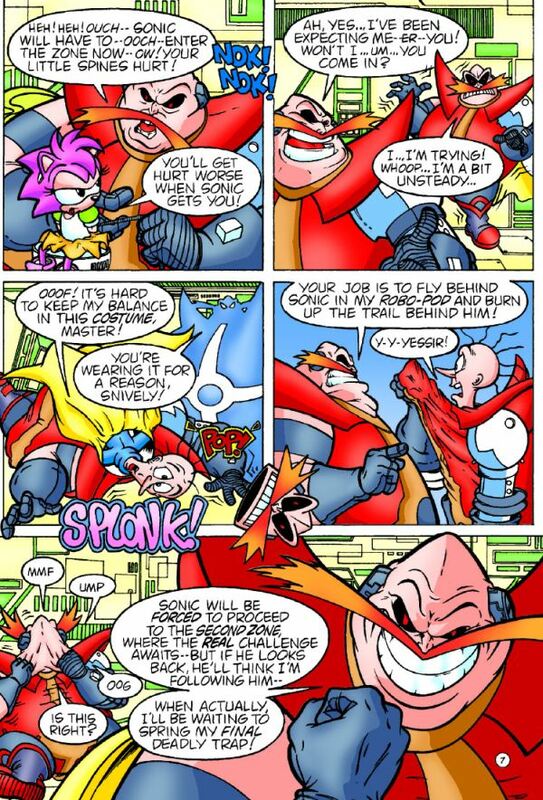 Will it be enough to protect them from Robotnikâ€™s rampaging onslaught? 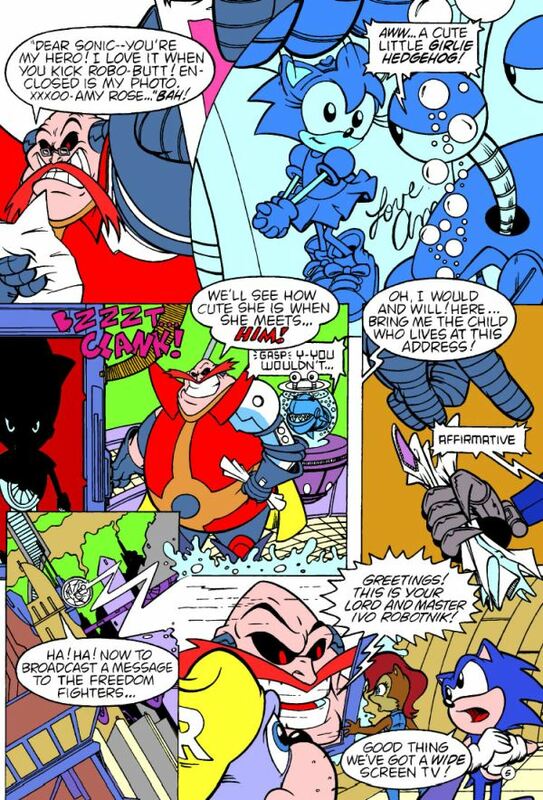 â€œScrambled Hedgehogâ€ (issue #27): A case of amnesia makes Sonic an easy mark for Robotnik, who convinces our hero to almost give away Knotholeâ€™s secret location! 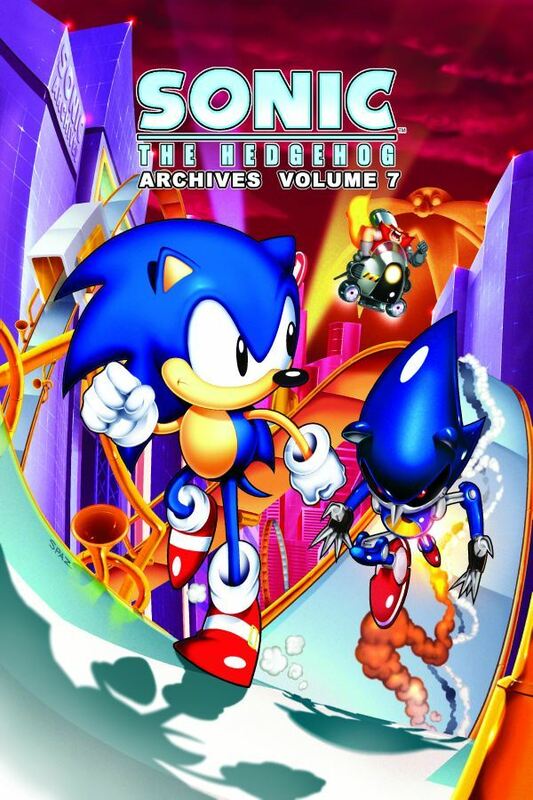 Will Sonicâ€™s memory return, or will his betrayal be permanent? â€œSaturday Nightâ€™s All Right for a Fightâ€ (issue #28): Sonic continues his traitorous ways due to his memory loss, and the Freedom Fighters need all the firepower they can muster to defeat their once-great champion! 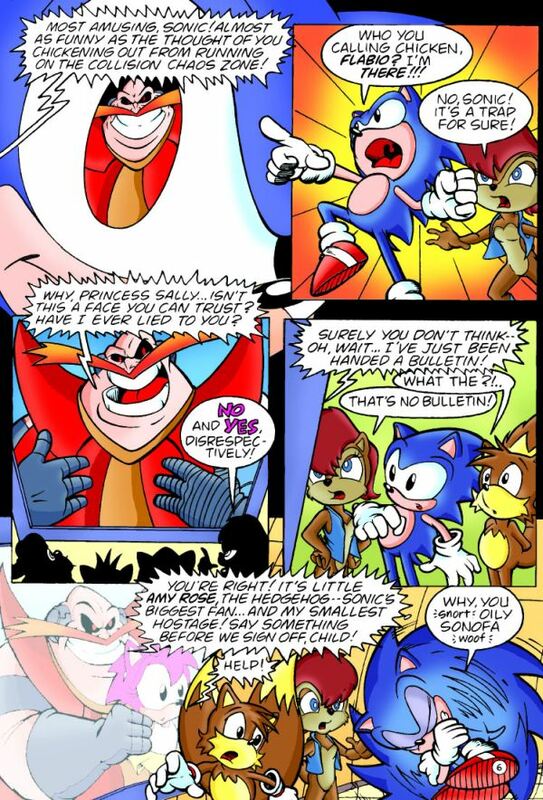 kidnapped, in this prelude to Tailsâ€™ mini-series. ART: Dave Manak, Jon Dâ€™agostino, Harvey Mercadoocasio, Rich Koslowksi & Art Mawhinney. Colossal cover by Spaz!